Image: ‘Video For Change’ panel explored community-based video storytelling. Photo by Raphael Tsavkko Garcia, used with permission. 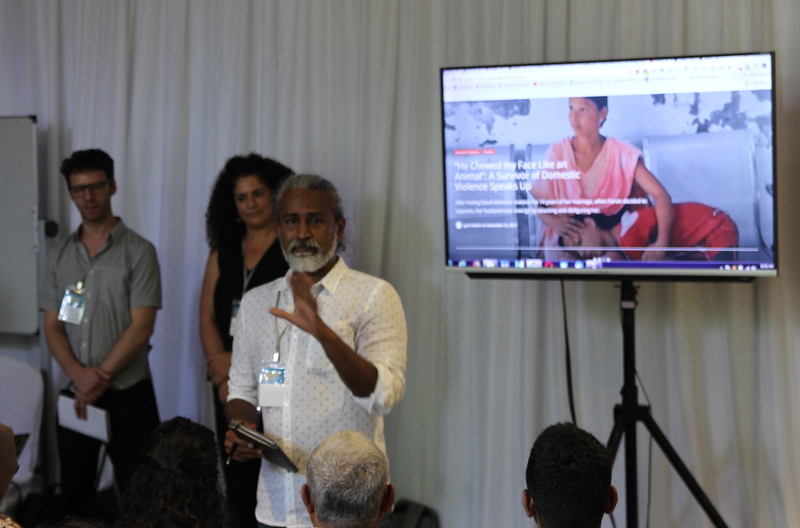 The Video4Change team was present in the Global Voices Summit 2017, which took place during December 2-3, 2017 in the Sri Lankan Capital Colombo. The panel “Using Video for Change: Diverse Opportunities and Challenges” featured members of five organizations comprising Video4Change. Sam Gregory of Witness (moderator), Stalin K of Video Volunteers, Rima Essa of B’Tselem, Brenda Danker, of the Freedom Film Network, and Andrew Lowenthal of Engage Media. Everybody with a camera isn’t protected and can be arrested. Because they’re Palestinians. I can’t do anything for them but to pay high amount of money to release them, which is not always possible. 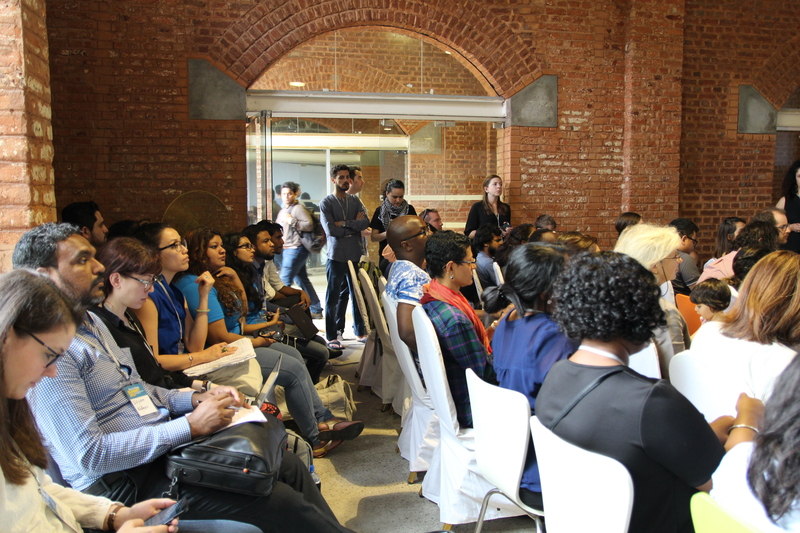 Image: Video For Change drew a big crowd interested in community-based storytelling. Photo by Raphael Tsavkko Garcia, used with permission. Sometimes the footage recorded may serve as proof in itself to protect correspondents from false charges. As an example, Rima Essa explained a fascinating story of a cameraman in Palestine who, when confronted by the security forces, managed to hide his camera’s memory card inside his mouth. After being recovered by B’Tselem, the footage was used in his trial to successfully get him released. I always tell them: I don’t care about the camera, all I care about is your life.